Paneer is undoubtedly one of the most famous ingredient for making a premium dish for vegetarians. I am making this comparison primarily with non-vegetarians who would proudly keep the chicken preparations well above all vegetarian dishes. I would say that Paneer also lives up to its expectations and we can really make some very good recipes if we twist some things here and there and combine it with other ingredients. The other one that you would find with many variations in different restaurants is Paneer Pasanda. Paneer pasanda is a bit time consuming preparation but the end result is really worth spending the time. This is precisely the reason you won't find it in your local market restaurants. Only good restaurants would feature it on their menu. I am also a vegetarian by heart and simply love eating Paneer Makhani. This recipe is an effort to re-create the restaurant magic at home. I hope you would like it and share your valuable comments. We will start with chopping the Paneer and vegetables. Dice Paneer in small pieces/cubes. Chop Onion, Tomato, Ginger, Garlic and Green Chili in small pieces too. Peel the skin of Almonds using a knife. Since, they were submerged in water, it will come out easily. 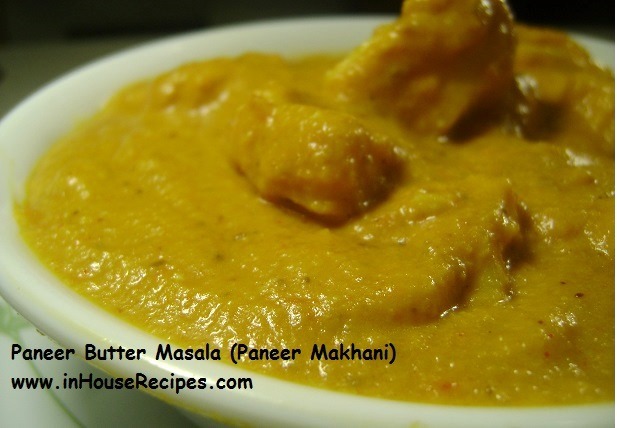 We are now ready with all ingredients to cook Paneer Makhani/Paneer Butter Masala. Take a pan, add 100 Gms (3.5 Oz) of butter and melt it on high flame. We are currently using half of our total Butter’s quantity. We will use the rest later. Once Butter melts, Add Onion, Ginger, Garlic and Green Chili. Let them cook on high flame until they soften and Onion changes its color to pink. After about 4 minutes, Onion has softened. Now, add Tomatoes and again cook until Tomato softens. After 3 minutes, Tomato has also softened. Now, switch Off the stove and keep it aside for 10 minutes. After 10 minutes, Onion Tomato mixture has cooled down. Add it to a grinder along with Cashew and Almonds. Grind it to a fine paste. Coming back to the same pan, add rest 100 Gms of Butter and melt it on high flame. Once Butter melts, add Cloves, Cinnamon and Black Cardamom. Cook them on high flame for about 1 minute. After 1 minute, add Onion Tomato paste and cook it high flame for 2 minutes. Now add spices like Coriander powder, Red Chili powder, Turmeric powder along with Salt. Mix well and turn the stove to medium flame for 1 minute. After 1 minute, add milk and cook on medium flame for another 1 minute. Now add Paneer slices/cubes and mix well. Let it cook on medium flame for 2 minutes. After 2 minutes, switch off the stove. Add Garam masala and our Paneer Makhani is ready to be served. Aroma of Black cardamom and Clove is really good. Enjoy it with Naan. 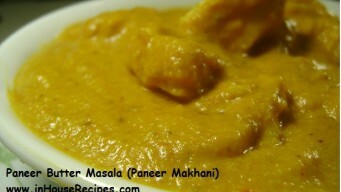 Would you like to give Paneer Tikka Masala a try? This is awesome.